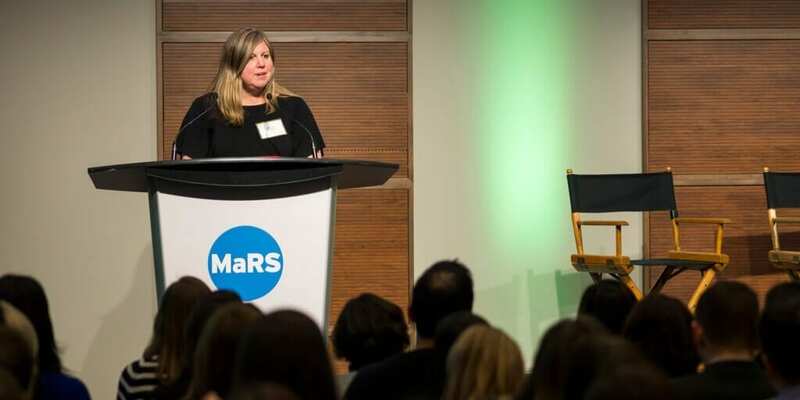 Last month, MaRS hosted the kickoff of a new event series aimed at “moving the dial” toward a future where more female leaders are heard and respected, and where female entrepreneurs find themselves on equal footing with men when it comes to securing funding for their startup ventures. 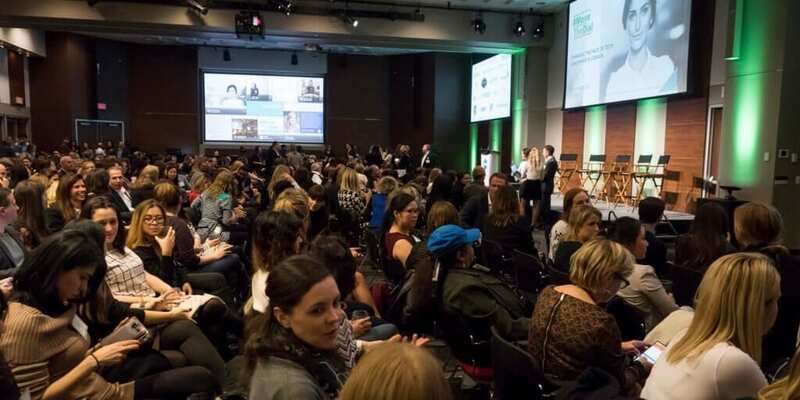 Organized by a range of partners, including AceTech Ontario and the City of Toronto, Moving the Dial drew approximately 600 attendees, including 100 female startup founders, 40 female venture capitalists and many notable CEOs. The impressive turnout is an indication of the growing desire to band together and take action. As women around the globe march in the streets to assert their rights in a way that is reminiscent of the early 20th century, events like this one will provide yet another forum for catalyzing much-needed change. Here are a few takeaways from this inspiring night. Two female CEOs, Ilse Treurnicht (MaRS Discovery District) and Jodi Kovitz (AceTech Ontario), kicked the night off with some stats about women in tech. With roughly 5% of female founders obtaining funding and just 2% of leadership roles in the Canadian tech sector held by women, it’s clear that women are still under-represented. However, the picture is not all bleak. Ilse noted that 30% of the MaRS-supported companies that provided demographic information in 2015 had at least one female founder, which marks progress. And Jodi outlined some of the new initiatives in place to combat gender inequality, such as a women in tech mentorship program started by Communitech and a new social media challenge called #GoSponsorHer, which calls on leaders to start sponsoring women in their networks. There was a clear message that we need to speak up and stand up, and that Toronto must lead the way. MaRS’ very own Michelle McBane, an investment director for the Investment Accelerator Fund (IAF), spoke about the new fund she is working on with BDC. Focused solely on women, the fund will invest only in tech firms that have at least one female founder. IAF is also looking to become a platform for female angel investors by offering training to women who want to be venture capitalists. IAF’s new panel of advisors aims to be made up of two-thirds women, marking a radical shift from the current investment landscape. In 2015, MaRS Data Catalyst released a report estimating that Canada’s average VC firm had 12.5% female investment professionals. The report also showed that 90% of firms with all-male investment teams exclusively funded ventures with all-male founding teams. Lee Moser, vice-president of North American investor relations for the Tel Aviv–based angel investment firm iAngels, spoke about how her firm is changing the work environment for women in Israel. The iAngels team is almost entirely female, and Lee wants to see greater emphasis on empowering and supporting women through mentorship. She also stressed the need to encourage an international supportive community. The evening’s panel moderator, Siri Agrell, who is the director of strategic initiatives for Toronto Mayor John Tory, welcomed four panellists to the stage for a live brainstorm about what we can do to advance women leaders. Siri: How do we use being female to our advantage? Janet: If you are the only female in the room, people are more likely to remember you because you stand out. Eva: Have the audacity to put your hand out. Abigail: Bring being female as a strength. Jen: Make sure you get the invite to the table. Don’t have shame. The worst-case scenario is that people say no. Janet: Women often lack confidence, as they are naturally less assertive than men. They need to work harder and try a bit harder. Siri: What should women do differently? Janet: Women naturally move away from the table if there are not enough chairs. We need to sit at the table. Jen: Fundraising is gruelling and soul destroying. Men do not always understand the product—they sometimes say flippant things, like: “I’ll show that to my wife.” Choose your fundraising audience and go to people who get it. Grow a thick skin, it’s not personal. What’s next for Moving the Dial? The Moving the Dial series will be hosting a spring hackathon that aims to piece together valuable missing data about female founders and investors. Stay tuned for details.